Webwatch24/7 - Stay alerted on Website downtime. Know your uptime statistics. Every business requires round-the-clock availability of their website and services to customers and users. Website downtimes can lead to loss of reputation, revenue losses, and eventually loss of business. You need a 24x7 monitoring service that ensures that your servers are always up and running, and alerts you instantly when your website is unreachable. 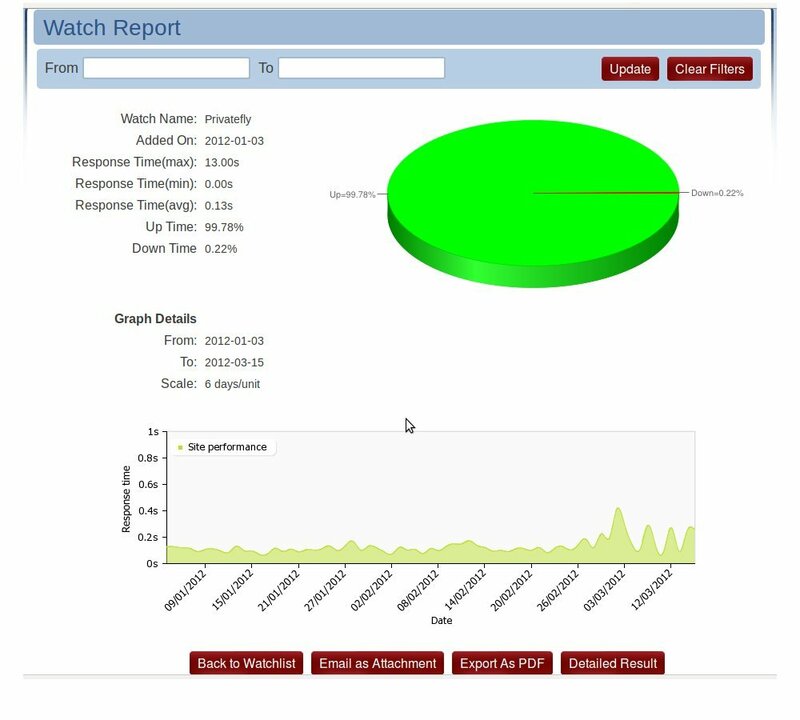 Webwatch 24x7 is a Software as a Service(Saas) solution that watches your server/url for downtime at specific intervals set by you. 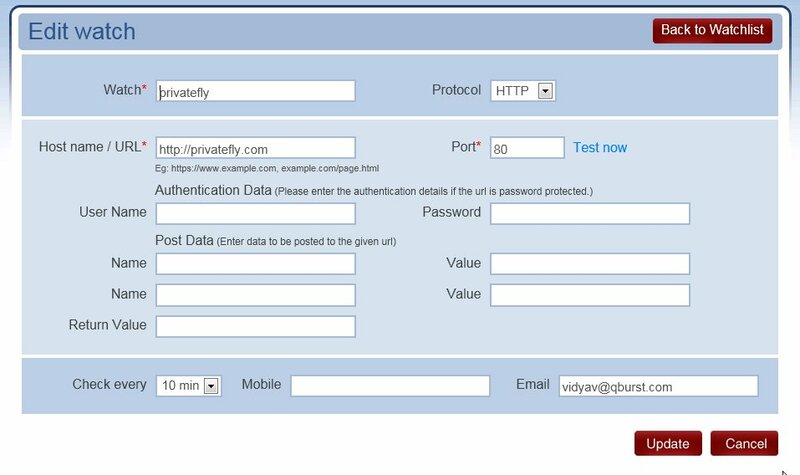 It supports multiple protocols like HTTP, HTTPS, FTP and SMTP without any software installation or complicated configuration. Our comprehensive reports include uptime/downtime charts, response time graphs, outage history and total downtimes. Sign up now to improve the performance of your website, applications and server.